I read this article and found it very interesting, thought it might be something for you. The article is called Protecting the freedom of religious belief in Chinese characteristic is a hoax and is located at https://tibet.net/2019/04/protecting-the-freedom-of-religious-belief-in-chinese-characteristic-is-a-hoax/. 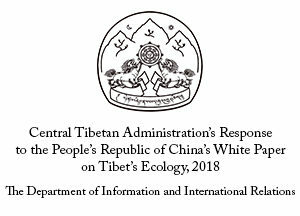 Since 1992 Beijing issued a series of white papers on Tibet. The latest one titled “Democratic Reform in Tibet – Sixty Years On” is vehemently targeted to undermine genuine democratic and religious reforms implemented by the Dalai Lama in the last sixty years of his exile. Unsurprisingly, the Chinese Communist Party’s constitutional politics on religion has been consistent since the emergence of a policy on religion in the Common Program passed by the Chinese People’s Political Consultative Conference on September 29, 1949. However, the ultimate goal of the policy is to lead people to abandon religion. The following interpretation on religious freedom policy by Li Weihan, the then head of the United Front Work Department (UFWD), in the early 1950s explicitly reveals the evil intention of the Party’s religious policy. In one section of the chapter, Beijing claims that the cultivation and training of religious personnel are being strengthened. In reality, religious personnel must adhere to “four must uphold”, a set of rules intended to secure allegiance from religious personnel and guide them to become the vanguard of ethnic unity. In other words, religious personnel should be patriotic, loyal to the party, law-abiding and politically effective, which means ready to make an effective contribution in maintaining socio-political stability and harmonious society. In a similar vein, the Party is grooming and training new generation eminent tulkus whose predecessors held significant positions. For instance, the upbringing of 7th Rating Rinpoche and 6th Dedrug Rinpoche clearly illustrate Beijing’s political intention that these two cherry-picked tulkus are to be used to validate the Party selected 15th Dalai Lama. 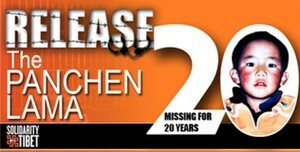 The urgency became discernable when Beijing is actively promoting Gyaltsen Norbu, the Party-appointed 11th Panchen Lama. For instance, his appearance in the Third World Buddhist Forum held in Hong Kong in 2012 was seen as a part of Beijing’s intention to boost his international standing and recognition. His frequent visits to the Tibet Autonomous Region and other parts of Tibet in the People’s Republic of China reflects the urgency with which the Party desires his acceptance by the Buddhist communities around the world, particularly Tibetan people in the hope that this will give him the spiritual gravitas to select the next Dalai Lama. Under the pretext of quixotic laws and orders, the Party tightens its control measures in monasteries and religious institutions. For instance, the creation of Monastic Management Committee (MMC) is to intensify the Party control in monastic institutions. The MMC is specifically designed to control and regulate the operation of monastic affairs, including the admission of monks and nuns. 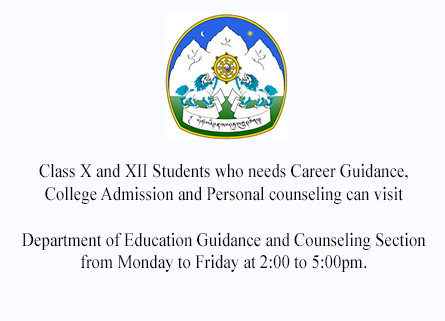 The extensive role of MMCs further eroded the traditional Tibetan Buddhist way of managing monasteries and religious affairs including those of study and practice. In the latest development, supervisors are required in monasteries and religious institutions to supervise the MMCs. The emergence of supervisors appears to be the outcome of China’s revised regulations on religion adopted in 2017. 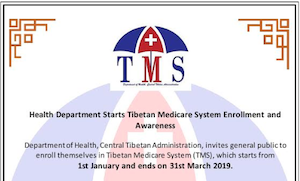 The International Campaign for Tibet based in Washington DC analyses that “the revised version should be assessed against the background of a series of laws that can be viewed as a systematic development of security architecture in China’s new era. 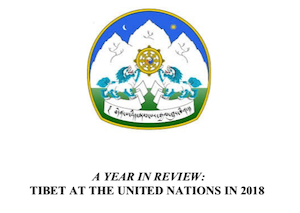 Among those are the 2015 Security Law, the NGO Law (in force January 2017), the 2016 Counter-Terrorism Law, and the Cyber Security Law (in force May 2017). These laws represent the Chinese Communist Party’s will to gain maximum control over every aspect of people’s lives.” The inclusion of supervisors in monastic affairs further expand the existing control measures and intended to guide religion to adapt to socialism. Satellite images from US-based satellite specialists Apollo Mapping show huge scale of demolition to Tibetan Buddhist site Larung Gar. A stark contradiction to its promise of protection of religious freedom, Beijing carried out forced demolitions and evictions of monks, nuns and lay practitioners from Larung Gar, which is located in eastern Tibet traditionally known as Kham. The academy was founded by late eminent Khenpo Jigme Phuntsok and is believed to be the world’s largest Buddhist learning academy. 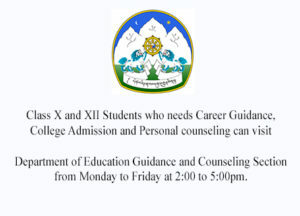 The academy is now directly under the control and supervision of MMC. 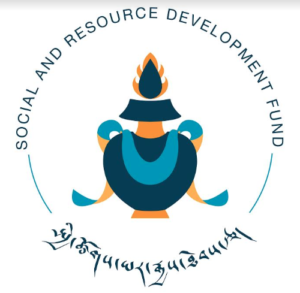 The appointment of six Tibetan party cadres in the academy’s key management positions was part of decision taken at the sixth Tibet Work Forum held in August 2015 and the second National Work Conference on Religion held in April 2016 to strengthened the party and government control in day to day management of the academy and in order to eventually eliminate dissent. The 2016 conference on religion has been widely regarded as the beginning of a new CCP campaign to tighten its grip on the religious community. Since the 18th Party Congress, “sinocization” becomes China’s new approach to religion. In line with this, Zhang Yijong, executive deputy director of the UFWD, made a statement on Tibetan Buddhism at the sideline of the 18th Party Congress. He said that Tibetan Buddhism was originated from China and has Chinese orientation. The brazen lie Zhang made was a part of Xi Jinping’s serious efforts in re-writing Tibet’s history, let alone the origin of Tibetan Buddhism. In contrary to sixty years of China’s undemocratic reforms in Tibet, the Dalai Lama has built a robust and vibrant exiled-Tibetan administration premised on democratic principles such as rule of law. At a time when many leaders in the world hold on to power, the Dalai Lama willingly devolved his political authority to the democratically elected leadership in 2011. 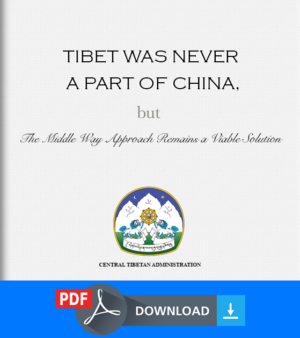 Above all his magnanimous stand that Tibet is ready to join the People’s Republic of China (PRC) given the Tibetans across the Tibetan plateau a right to enjoy “genuine autonomy”. 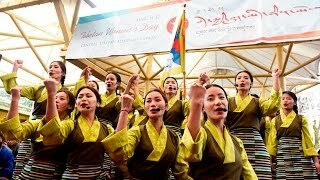 In terms of the implementation of genuine reforms, the Dalai Lama has made into reality his longstanding aspiration of awarding Geshema degree to Tibetan Buddhist nuns, the highest academic title in Tibetan Buddhism. This reform is truly gender equality in the modern sense. 36 Tibetan nuns in exile have received Geshema degree since its inception in 2013. In short, Dalai Lama in the last sixty years has been tirelessly advocating the importance of religious harmony in its true sense. “Questions concerning religion in minority nationality work.” Quoted from Beatrice Leung’s 2005 article on China’s religious freedom policy: the art of managing religious activity.